The Natashas Project was born from years of prayer by our founder Erena Bordon Sanchez. For years she would pray for the issue and ask God to guide her how to actively do something about this issue. 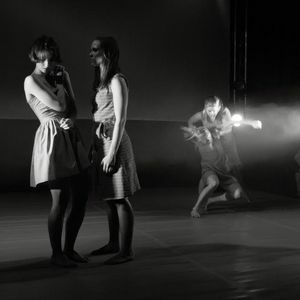 In September 2012 she began a year of research alongside working with 8 professional dancers to create a dance piece that would create awareness of human trafficking. The production was such a success that it became the catalyst of how the project was birthed. The Natashas Project was then launched in 2013 with 3 branches to its work to support the battle against Human Trafficking through the means of contemporary dance and let the world know that nothing is too big for God, not even this issue, and to encourage others to join the fight to end this injustice with whatever gift or tool they have. Performance Productions - contemporary dance productions which take audiences through a journey of lost innocence, 21st Century slavery and how this injustice still affects every single society throughout the world today. 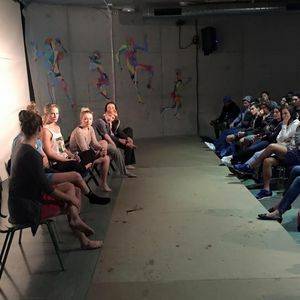 Educational Workshops - using repertoire from the performance productions these workshops aim to inspire safe relationships, awareness of safety, and encourage the youth to work together to create their own creative work to raise awareness on the matter. Restorative workshops - Tailor made restorative dance workshops. The aim of these workshops are to provide a creative means of support for survivors of trafficking, sexual abuse and domestic violence. 'Through our research we can see when people's hearts are touched it becomes personal and once that happens they are most likely to get involve and do something to help.' Quote from founder. The Natashas Project is in the process of creating a new full length dance production and installations exploring real life testimonies of survivors of human trafficking. For this Research and Development period we will work with 5 dancers over 25 days, collaborate with a writer, composer, lighting and costume designer. The legacy of this Research and Development activity will be a production with trip up art installations toured in two areas of England (targeted by traffickers due to their vulnerability and lack of knowledge of HT).